Building upon recent work for FTA regarding women’s issues in public transit, this research aims to look into women’s safety and security concerns on Florida’s public transit systems. 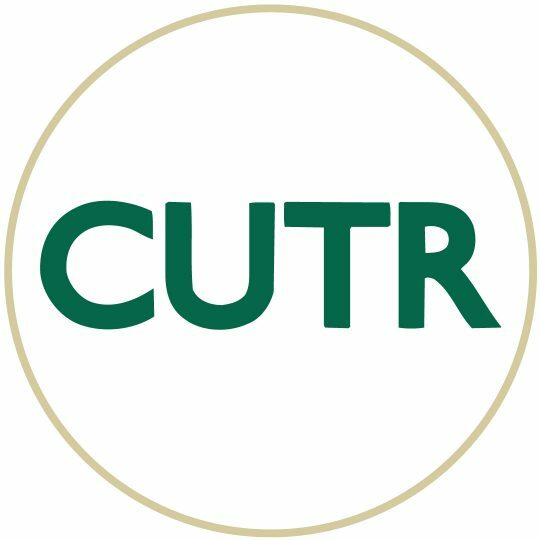 Research has shown that women tend to shape their travel around a fear of victimization, particularly when it comes to public transportation (https://www.cutr.usf.edu/2017/05/upcoming-cutr-webcast-gendered-intersections-public-administrators-views-of-gender-its-role-in-transportation-decisionmaking/, http://www.community-safety.info/21.html, http://www.cairn-int.info/article-E_RFS_462_0265–feeling-unsafe-in-public-places.htm). While women’s level of fear about their safety is not necessarily supported by statistics, it is important to note that many intimidating acts go unnoticed or underreported (https://www.citylab.com/transportation/2014/03/will-women-ever-feel-completely-safe-mass-transit/8728/, https://www.usatoday.com/story/news/nation/2013/11/19/study-sexual-assaults-greatly-underreported-/3648197/ ). If these concerns were addressed, particularly for women, transit ridership could reflect increases in choice riders and increased security and comfort for all riders (Loukaitou-Sideris, 2010). We propose a study of two of Florida’s transit agencies, varying the agency selection by size and geographic location. For each of these agencies, site visits would be conducted to discuss with staff and possibly transit riders to learn about perceptions of transit safety in their area. The site visits would also allow for opportunities to tour select bus stops and transfer facilities and gather existing data such as that from on-board survey results, if available. Additionally, the researchers would access and analyze National Transit Database (NTD) safety/security data for each case study. Finally, agency safety protocol information could be utilized to see what procedures agencies currently have in place for dealing with events that occur on board transit vehicles and at stations/stops. The information gathered from this research could be used to gain a better understanding of women’s real and perceived concerns about transit. How can agencies address concerns to make sure that women feel safe using their system? How can agencies better communicate their procedures for addressing incidents? Overall, the project results could lead to a better understanding of both physical improvements (e.g., bus shelters/stops) and communication/public relations efforts related to safety for women and, ultimately, all users. Three primary objectives have been identified for this project. These objectives each relate directly to the NCTR themes of “safe,” “desirable,” and “secure” public transportation. 1) This research project will illustrate how women perceive personal safety differently than men when using transit, and in general. This will be achieved through referencing existing literature, examining existing transit survey results, and site visits. 2) This work will use National Transit Database (NTD) data and other data/information from case study sites to determine the number and type of security events involving women and how they may differ from the number and type of events involving men. 3) The results of this research will provide findings and recommendations related to transit agency policy and/or outreach for the inclusion of women’s concerns in the planning process and for making women feel safer using transit, both in Florida and elsewhere. Task 1: Background Information and Literature Review – This task will involve the collection and review of relevant background information and literature on the topics of women’s safety, both in public places in general and relating to public transportation specifically. Deliverable 1 will synthesize the information found as part of this task. Task 2: Collect and Analyze Relevant Data on Transit Safety – In this task, data from the National Transit Database (NTD) and other sources will be compiled and analyzed to determine findings and recent trends related to the incidence of safety/security events on public transit, both nationally and within Florida. Transit safety/security events are categorized in the NTD by type, and important additional information is available regarding persons involved in such events, such as age and gender. Deliverable 2 will summarize the data analysis. Task 3: Select/Analyze Case Study Sites – The selection of two case study sites in Florida will represent the first part of this task. The selection of the case study sites will involve the consideration of transit agency size and geographic location within the state, and will also be informed by any relevant findings from Tasks 1 and 2. The project team will conduct site visits at the selected agencies. The purpose of the site visits will be to meet with agency staff and potentially transit riders, visit select bus stops and transfer facilities, and to gather any relevant data readily available from the agency such as on-board survey data and results. In addition, other data and information specific to the case study sites will be collected and analyzed, including relevant procedures and policies and discussions with transit agency staff and/or other appropriate individuals. Deliverable 3 will summarize each of the case study sites and the respective visits. The project team will compile all information from the previous tasks and generate a draft final report which will also include a set of findings and possible recommendations relating to improving transit safety for women and ultimately all users. Deliverable 4 will represent this draft final report. In addition, the project team will prepare a research paper to be submitted to the Transportation Research Board (TRB) for its 98th Annual Meeting to be held in January 2019. Per TRB, the paper must be submitted by August 1, 2018. In response to reviewer comments, as well as the acquisition of any additional relevant information, the project team will revise the draft final report and prepare a final report for this project. In addition, the project team will develop and hold a webinar on the results of this research project. Deliverable 5 will comprise the final report, and Deliverable 6 will include the webinar. A graduate student will assist with the literature review and compilation of background information, the compilation and analysis of transit safety data, summarizing the case studies, and preparing the final report, TRB paper, and webinar.